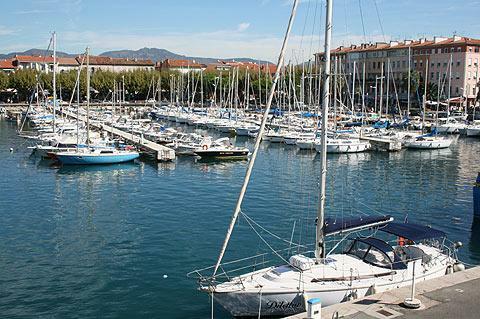 Saint-Raphael is a seaside resort a few kilometres south-east of Frejus on the French Riviera. The town is one of the oldest resorts on the coast - there is evidence that wealthy Romans used to pass their summers here 2000 years ago! France This Way comment: despite this long period of occupation there is not a great deal in Saint-Raphael to recall the history - but no matter, it is a lively and popular resort with a nice beach in the town centre! Nowadays Saint-Raphael is one of the calmer resorts on the French Riviera, standing in the shadow of the rugged Massif de l'Esterel. It is a very clean, well maintained resort with a small harbour, and beaches to either side of the harbour. It is one of our favourite resorts on this part of the Cote d'Azur. 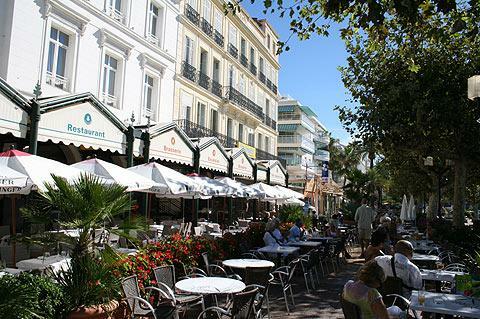 The more eastern of the beaches is backed by grand regency era hotels, now with cafes to the front. Saint-Raphael also has a large number of cafes and shops in the area around the harbour, again all very clean and modern where you can escape from the sunshine. Behind the harbour there is a colourful old town, quite small but pleasant and with narrow streets to explore, which has a daily fruit and vegetable market. One of the oldest buildings here is the Church of Saint-Raphael (Eglise San Rafeu), towards the north of the centre of the town and dating from the 12th century (although expanded in the 18th century) and with a watchtower which you climb for lovely views across the town. 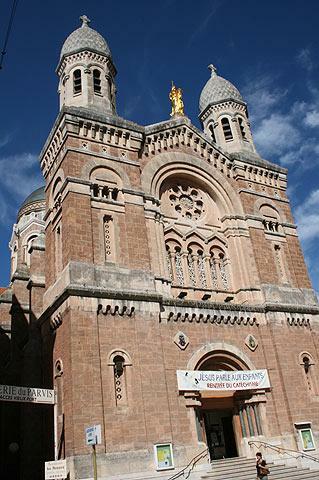 Another imposing building in the centre of Saint-Raphael is the byzantine style basilica, built in the 19th century. To the south of the harbour is a large public garden called the Jardin Bonaparte where photo exhibitions are sometimes held, which also contains a large children's play area. If you head east along the sea front from the centre of Saint-Raphael you reach another harbour area called Saint Lucia. You can then follow the coast path to Boulouris and a selection of smaller beaches. As well as the Romans, there are also traces of both prehistoric and ancient Greek occupation in the area: visit the Archaeology Museum in the presbytery of the old church to learn more. In more recent years it was Napoleon who brought Saint-Raphael to the public gaze when he landed here after his Egypt 'adventure', and set off from Saint-Raphael when he was first sent into exile, an event commemorated in a small memorial in the port area. 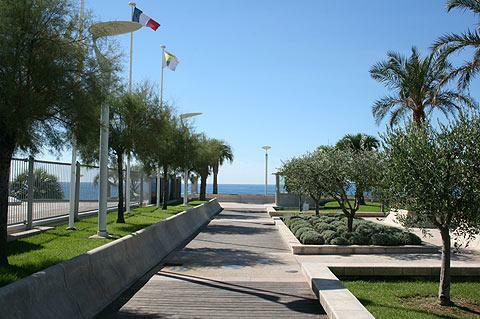 Deep-sea diving and walking along the coastal path are among the most popular activities in and near Saint-Raphael. The surrounding coastline (more than 30km of coastline is found here) and the Massif de l'Esterel together represent a protected and carefully maintained environment, including restrictions on new developments along the coast. The beaches and rocky section of coast are characterised by the red rock, as found in the Massif de l'Esterel and best seen by following the coast road east via Agay to Theoule-sur-Mer. Saint-Raphael is also on the popular 'garden route' called the Route des Mimosas.